Sunday is Father’s Day, the annual holiday where Americans celebrate the men who made them. 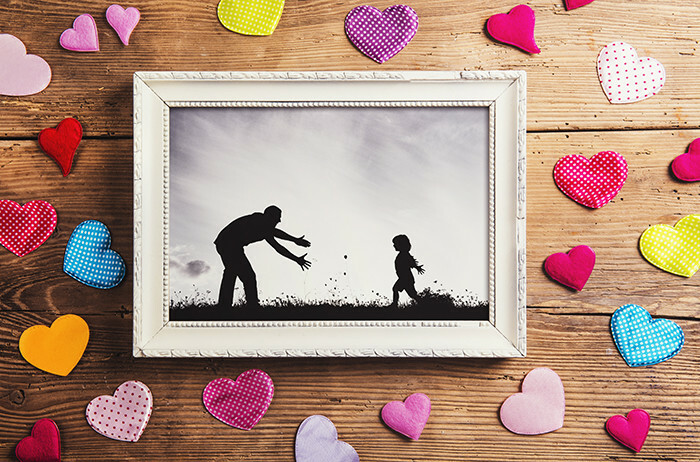 You may love dear old dad, but how much do you actually know about the observance in his honor? Brush up on your Interesting Father’s Day Facts and make your Papa proud! This isn’t an especially interesting story, but Father’s Day officially began in 1910 in Spokane, Washington, where 27-year-old Sonora Dodd proposed it as a way to honor the man who raised her when her mom died in childbirth. Dodd was at a church service thinking about how grateful she was for her father when she had the idea for Father’s Day, which would mirror Mother’s Day but be celebrated in June — her dad’s birthday month. The movement grew for years but didn’t gain national-event status until 1924 under former President Calvin Coolidge. He said it would “establish more intimate relations between fathers and their children” and “impress upon fathers the full measure of their obligations,” according to the Library of Congress Wise Guide. The holiday gained traction during World War II, and in 1966 President Lyndon B. Johnson proclaimed the third Sunday of June to be Father’s Day. President Richard Nixon made it a federal holiday six years later. 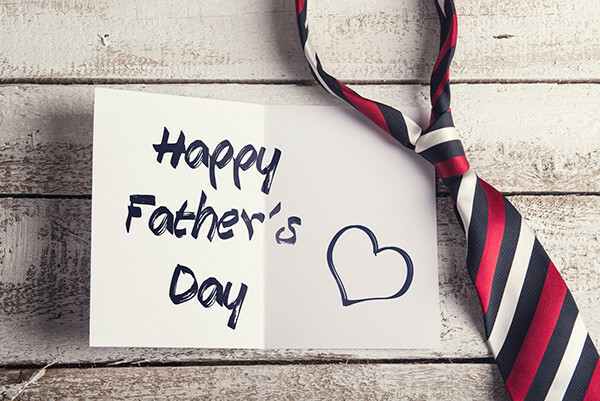 Today, Father’s Day has a passionate following, with about three-quarters of Americans telling the National Retail Federation they plan to celebrate on Sunday. Thailand’s Father’s Day is celebrated in December, on the birthday of King Bhumibol Adulyadej. Adulyadej served as Thailand’s King for 70 years, since 1946 when he was only 18 years old! Everyone wears yellow on Father’s Day in Thailand. 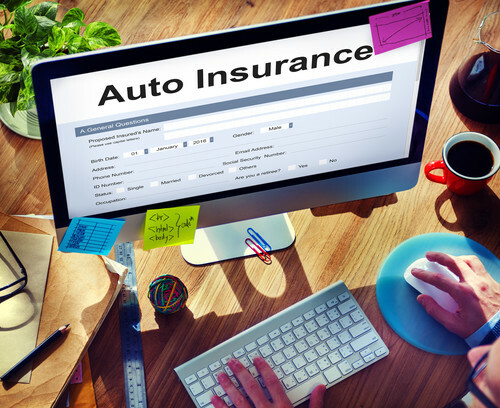 Your auto insurance is a collection of different policies that cover you in different ways. Before you buy car insurance, it’s helpful to know how much car insurance you need. Liability coverage – These policies help cover liability and expenses when you’re at fault in and accident. The money will go to the people you hit, but it won’t cover the people in your car. Bodily Injury Liability (BIL) – This policy pays for the medical expenses of people injured in a crash in which you’re at fault. You’ll often see BIL policies described as a “20/50” policy or a “100/300” policy. These numbers describe the maximum dollar amount the policy will pay for a single person’s injuries and the maximum for all the injuries sustained by all the occupants of the other car. For example, a policy will pay maximum of $20,000 for a single person’s injuries, and up to $50,000 total for the injuries of everyone in the car you hit. 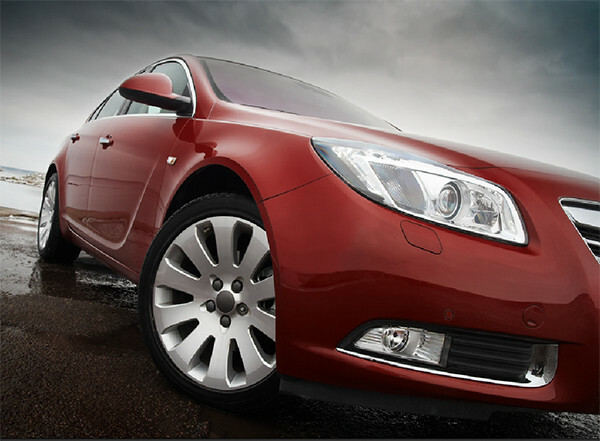 Property Damage Liability – This policy pays for damage done to the other car if you’re at fault in an accident. Property liability is sometimes referred to alongside BIL as a third number, so a 25/50/20 liability package will cover up to $10,000 for damages to the other car. Uninsured/Underinsured Motorist Coverage – This helps cover costs if you are hit by someone without insurance, or minimal coverage. 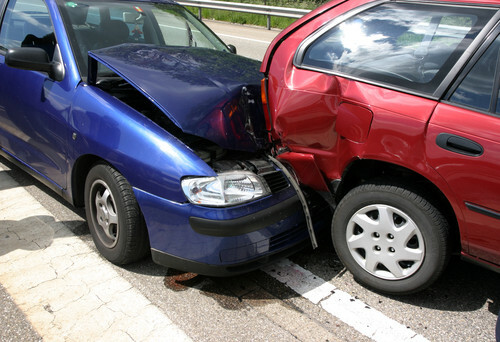 Collision – This policy covers repairs to your car after an accident. Comprehensive – This policy covers costs if your car is stolen or damaged outside of an accident. Minimum coverage isn’t necessarily all you should have. If you’re involved in a serious accident, it’s possible that an individual’s medical expenses could exceed $15,000, or a group’s expenses could total more than $30,000. In addition, $5,000 for car repairs isn’t a lot, considering that the average car now costs a little more than $20,000. You’re on the hook when costs exceed your coverage limits. That’s why many people opt for policies that cover more than required minimums, particularly if they have assets that can be seized to pay for repairs and medical care. A good rule of thumb: Make sure you’re covered for an amount equal to the total value of your assets (Add up the dollar values of your house, your car, savings and investments). Check out your state’s minimum insurance requirements. It’s possible that the minimum coverage required might not be that different than what you really need. When deciding how much coverage you need, make sure you’re covered for an amount equal to the total value of your assets. People take out homeowners insurance for the same reason they take out car and health insurance: If a home is damaged or someone else injured on the property, insurance helps owners cope with the financial consequences. Homeowners insurance is actually a combination of two different types of protection, hazard insurance and liability insurance. Hazard insurance protects you against unintentional damage or destruction to your house or its contents, including fire, storm, theft, vandalism and similar threats, the Nolo legal website states. It can cover the cash value of the damages or the replacement value; replacement value pays enough to replace what you lost, but cash value only pays what a property is worth. The cash value for a five-year-old $1,000 television won’t be $1,000, for instance, because it depreciates with age, making it worth less in the insurer’s eyes. Liability insurance covers personal liability for accidents on your property. If your neighbor trips on a hose in your yard and breaks his ankle, for example, liability insurance will pay for his medical expenses, up to the policy limit. One reason homeowners need insurance is that mortgage companies require it. If you take out a mortgage, your house is the lender’s collateral, so your lender will require you to buy a minimum level of hazard insurance. That doesn’t prevent you from buying a greater amount than the minimum, Nolo states, if you think it necessary. 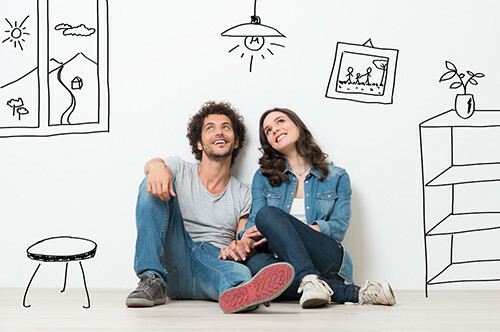 Homeowners insurance covers most of the property in your home, but there are limits to what the insurer will pay for certain items, such as cash or jewelry, the “This Old House” website states. If you have a home office, hazard insurance doesn’t cover business equipment either. If you have personal or business property that isn’t covered, consider paying more money for a supplemental policy that will protect you if they’re damaged. Homeowners insurance doesn’t protect you against everything: Insurers routinely exclude things such as flood damage and earthquake damage from coverage, though separate flood and earthquake policies may be available where you live. “This Old House” states that a “law exclusion” in your policy can be very expensive. If an older building is damaged more than 50 percent, it will have to be rebuilt to the current building-code standards; the law exclusion means the insurer won’t pay the cost of upgrading wiring or roofs to meet the code. There are many ways for Virginia drivers to stay safe and stay out of trouble with the police – some more obvious than others. Don’t speed, don’t drink and drive, wear your seatbelt, don’t text and drive, don’t run red lights, don’t run down some poor sap crossing the street… LOTS of rules that most of us really don’t have a problem following. There are a few, however, that you may not be aware of that we’d like to mention now. Below are some new driving laws that were inacted this year in the state of Virginia. Senate Bill 117 creates a traffic infraction with a $50 fine for opening a motor vehicle door when it is not reasonably safe to do so. Dooring, commonly used in reference to bicyclists, occurs when a motorist opens his vehicle’s door in the path of an oncoming cyclist or other vehicle. The impact can seriously injure or kill a bicyclist, not to mention scare the heck out of someone driving past, causing them to swerve and possibly hit the car next to them. Before you get out of your car on the driver’s side, look carefully for approaching cars, bicyclest and pedestrians. On the passenger side, make sure no one is walking close or riding their bike on the sidewalk. In Virginia, a person 15 years and 6 months of age is able to get their Learner’s Permit to drive with an adult. That hasn’t changed. But Senate Bill 555 of 2016 states that learner’s permit holders may not have more than one passenger under age 21 in the vehicle, with the exception of household or family members. The passenger restriction was previously placed on passengers under 18.In addition, provisional driver’s license holders under age 18 may no longer have more than one passenger under age 21 even if a parent is present. The passenger limitations on all provisional driver’s licenses also do not include household or family members. The initial license issued to any person younger than 18 years of age is considered a provisional driver’s license. Both of these provisions are secondary offenses. The law also changes the minimum learner’s permit holding periods for 18 year olds. Previously, 18 year olds with a learner’s permit had to wait a minimum of nine months before they could apply for a driver’s license. Now, they must only hold a learner’s permit for 60 days. Organ donors registered through DMV will remain on the registry unless they ask to be removed. Upon application, DMV will issue refunds of fuels taxes for fuels used in vehicles owned by a hunger-relief nonprofit organization when the vehicle is being used for this purpose. WHY must people sit in the fast lane and drive slow??? Everyone knows (or SHOULD know) that the left lane is for passing. Sure, if there’s a lot of traffic in the right lane, you could ride in the left. But at least do the speed limit for crying out loud, and move back over to the right when you’ve gotten past the cars. PLEASE! I’m begging you from the tread of my tires. Road Rage happens for a reason. People get frustrated, do stupid things, then cause accidents. Now that I’ve gotten THAT off my hood, let’s talk about some other rules of the road that you might need reminding of. Every time you get behind the wheel, you accept responsibility for your actions. 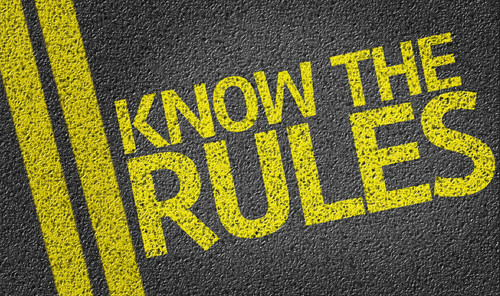 You must obey Virginia’s traffic laws, and ensure the safety of you, your passengers, and other motorists, pedestrians and bicyclists on the roadways. Under Virginia law, the driver and all front seat passengers must wear safety belts. A driver transporting anyone younger than age 18 must ensure that the passenger is properly secured in a safety belt, booster seat or child safety seat no matter where the child is seated in the vehicle. Believe it or not, there are some states that do not have a seat belt law. New Hampshire has enacted neither a primary nor a secondary seat belt law for adults. That may be because of their “Live Free Or Die” mentality ???? They don’t have a helmet law either. In Virginia, we can turn right on red after stop (UNLESS there is a sign that specifically says you can’t). That means if you come to a complete stop at a red light and you’re planning to turn right, you look to your left and if it’s clear, you can proceed. It’s a GREAT rule and terrific timesaver. I will say however, not ALL STATES have the ‘right on red’ rule. New York, for instance, does not allow you to turn right on red after stop. Is it 10 and 2? 1 and 7? Of course you’ll hear different things, but most people just put their hands on the steering wheel however it feels comfortable to them. The DMV says “Sit straight but relaxed and place your hands on the steering wheel. If your steering wheel were a clock, your hands should be at the 8 o’clock and 4 o’clock positions. Hold the wheel with your fingers and thumbs. Avoid gripping it with your palms.” So there you have it. 8 and 4. The Virginia Driver’s Manual will help you learn and understand safe driving practices. CLICK HERE to get it. We love Virginia. So much variety in it’s terrain. We have Mountains and Rivers; Bays and Ocean; white sands and red clay; green grass and pale yellow straw. You get the picture. Drive safely and take care of yourself and your family! And if you need insurance from a Virginian Insurance Agency, well, we MIGHT be ABLE to recommend someone!